The Wedding Present have recorded a cover of ‘Hand In Glove’ which was originally released by The Smiths in 1983. 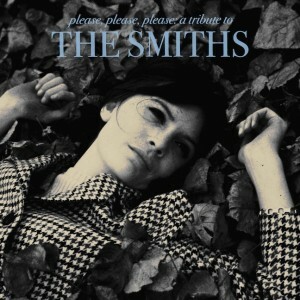 The Wedding Present version is for Please, Please, Please, a Smiths tribute album which was released by American Laundromat Records of Connecticut in December 2011. David Gedges ‘other’ band, Cinerama, have also submitted their cover version of ‘London’ which was featured on their first single for Scopitones, Manhattan, in 2000. As well as Cinerama and The Wedding Present, the album features Tanya Donelly, Sixpence None The Richer and Joy Zipper amongst others. Regular readers may recall that The Wedding Present also recorded a version of The Cure’s ‘High’ for a Cure tribute album which was released by American Laundromat Records in 2009. For more information about these albums and other American Laundromat releases, please click here.